ROUND 1 CTM. Start with 1 metal thread and #80 color thread #673 on the same shuttle. Attach to the 1st end of the metal finding/clasp. R1 = 3DS ¡V 3DS ¡V 3DS ¡V 3DS Clr + first of the metal part. Work around the entire piece to form 12 rings. Secure ends. CH1 = 7DS + (R4 1ST ROUND) 7DS. SR4 = 4DS + (R1) / 4DS ¡V 4DS - 4DS. The number of DS of the 3rd Round depends on the tension of the points applied and the thickness of the threads used. The center piece of the bracelet may be any type of gem or cabochon as long as it has a backing of metal filigree to allow thread to be joined to them. 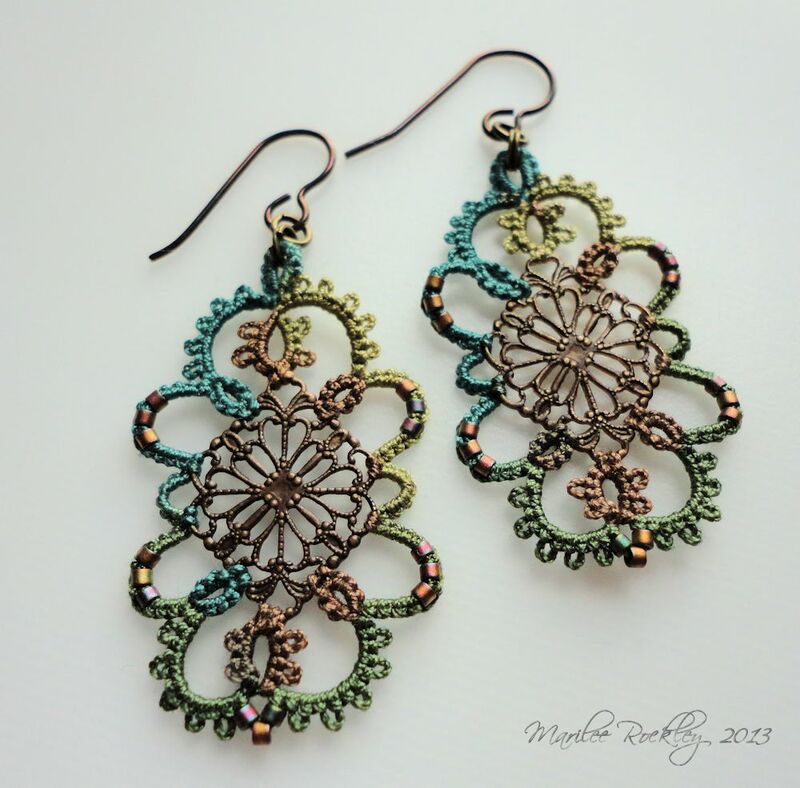 This is an example by Marilee Rockley of the use of a filigree finding. If such findings are not available, build a backing by tatting very long picots which are pulled to the center of the item. Place glue on the stiffened picots and attach gem.